For about 78 minutes on Monday night, the Santa Clara Bruins’ performance on the pitch matched the weather outside — dreary. Taking on Fremont Firebirds in Sunnyvale, Santa Clara did have the better of the opportunities in the first half, but for the most part it was a rather ho-hum affair through the first 40 minutes. 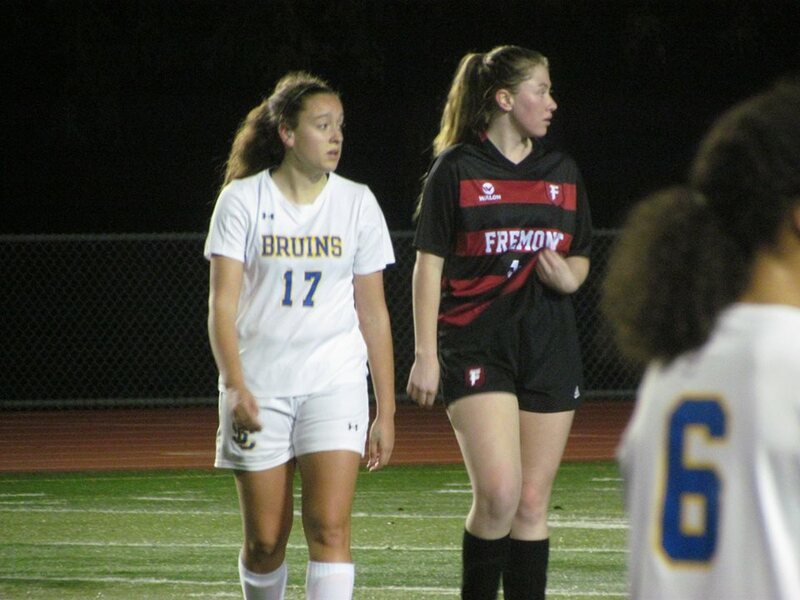 Bruins’ forward Alisa Bontrager hit the post with a chip shot off a partial breakaway and freshman defender Kelanie Garcia put a shot from the left flank just a couple feet wide of the far post. The Firebirds would score first, eventually striking in the 55th minute. A long, lofted pass fell perfectly behind the Bruins’ back line right to the feet of its intended target. Santa Clara keeper Lindsey Crocker came out to challenge the shooter, but the ball was neatly tucked underneath her attempt to make the save. Now down 1-0, it wasn’t until the final 10-15 minutes that the Bruins started to show a sense of urgency. Head Coach Brad Comstock moved his best shooter in centerback Jordan Lesnick into more of an attacking role in the midfield. While the sophomore didn’t score, she fired off at least three or four quality shots. While Lesnick didn’t figure in on the tying goal, one could make the case that the momentum created by the move helped the team eventually tie the score in the 78th minute. 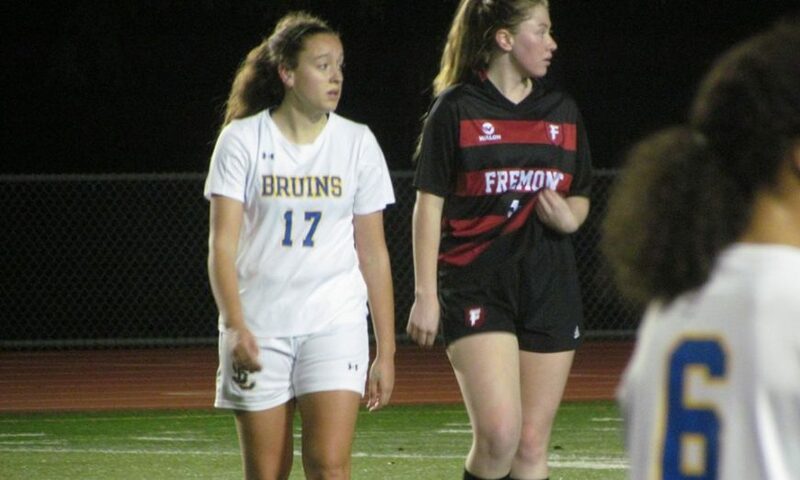 Nicole Nunes would finish off a give-and-go sequence with Jenna Pooler by sliding the ball underneath the diving Fremont keeper from about eight yards away. While pleased his squad found a way to get the late equalizer, coach Comstock wasn’t in the mood to let his team off the hook for letting the game be such a close call. Santa Clara’s league record is now 1-2-1 through four games. Their next game is Friday, Jan. 18 at Palo Alto.